You don’t remember the names of each and every stitch? Or you would like to check them out for yourself or just learn a new one? Almost 100 stitches in one place is something you don’t want to miss. Are you maybe a beginner? This encyclopedia is also for you. See what patterns are for newbies in the pictures below. For more free designs every day follow us on Facebook. Links to the encyclopedia are at the end of the page. 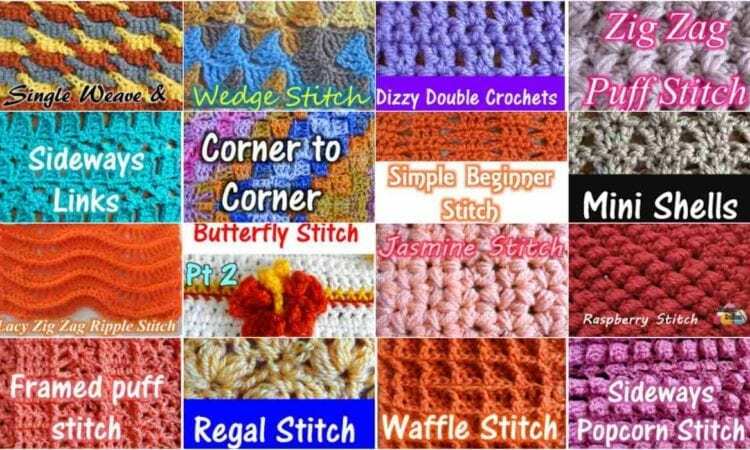 Stitch Encyclopedia – Free Crochet Patterns and Video Tutorial is here. Don’t forget to Like us on Facebook. Share your ideas and your work on our Facebook group.